According to reporting from the Daily Business Review, Kesner Joaseus, of Wellington, Florida, has been sentenced to eleven years in prison for his role in a complex identity theft/real estate fraud scheme. Mr. Joaseus, and his co-conspirators, Wadno Dorneau, of West Palm Beach, and Miguel Tilus, of Lake Worth, were originally charged in January of 2016. Along with the prison sentence, Mr. Joaseus has also been ordered to pay substantial fines and financial restitution to his victims. To carry out this real estate fraud scheme, Mr. Joaseus and his co-conspirators took advantage of the name and assets of a real, and wholly legitimate, property rental company. This firm is called ‘RHA 2, LLC’, and it is a real estate investment trust that is based in Georgia. This trust owns many rental properties in South Florida, primarily in Palm Beach County and Broward County. The firm rents out these properties, most of which are single family homes, to tenants. To this day, ‘RHA 2’ is an active company that is in good standing with the Florida Division of Corporations. In November of 2014, Mr. Joaseus set up a company named ‘RHA Two, LLC’, a name that is strikingly similar to ‘RHA 2, LLC’. According to the allegations presented by the Department of Justice (DOJ), this company was registered with the sole purpose of taking advantage of the other company’s properties in Palm Beach County and Broward County. Investigators believe that Mr. Joaseus and his partners would monitor RHA 2 rental properties around the clock. When those properties were being renovated, he would swoop in near the end of the construction, and he would have the locks on the home changed. Then, Mr. Joaseus and his partners would advertise the rental homes using signs in high traffic areas, often with signs placed in busy intersections. Those signs would contain phone numbers for prepaid cell phone numbers that he controlled. Mr. Joaseus’s fraud was vast in scale. Indeed, he unlawfully took possession of at least 85 different properties owned by the legitimate RHA 2 real estate investment trust. Further, he was able to rent out the vast majority of the properties he took over. He was able to secure securities deposits for these homes, and collect monthly rental checks from the tenants. In all, investigators estimate that at the peak of the scam the fraudsters were taking in more than $100,000 per month. 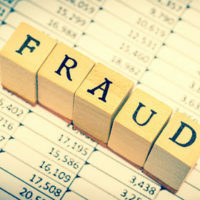 If you have been a victim of fraud in South Florida, our experienced West Palm Beach business fraud attorneys are standing by, ready to help. At Pike & Lustig, LLP, our team is adept at helping fraud victims recover the full and fair compensation that they deserve. To set up your free, no-hassle case evaluation, please call us today in West Palm Beach at 561-291-8298 or in Miami at 305-697-9799.